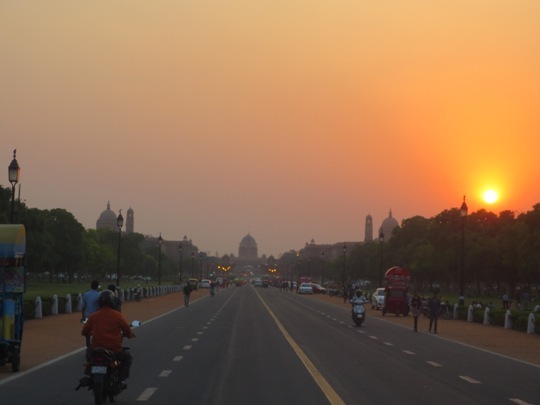 Oyster medical intern Sarah completed her internship in Delhi last month and has written some top travel tips to bear in mind when travelling in India, we couldn’t agree more! Believe it or not, there are rules which dictate how Indian traffic should operate. I’ve not found anyone that completely obeys them and there seems to be no rhyme or reason to what is expected or acceptable. Whilst staying in India, I found that the best way to cross a road (especially if you are alone) is to find and follow a local person who is crossing. They are much braver and seem to know when and how to dodge the multitudes of oncoming vehicles. Keep your wits about you! Food in India is delicious and relatively cheap to buy in restaurants, just bear in mind that prices often don’t include tax. When eating in a restaurant, expect up to 30% to be added to the bill for this. If you are paying your bill in cash, it really is something to be aware of. Where possible get takeaway and eat out, then you save on some of the tax. Always ask for flitered or bottled water in bars and restaurants, and don’t have ice cubes in drinks. Rickshaws will become your normal way of travelling around Delhi. They are cheap and a great way to travel. Beware that the roads are noisy and can be quite polluted at times. There are no set prices or rates for Rickshaw drivers to charge and, it seems, they tend to make up their own prices. What normally costs 50 rupees can suddenly become 100 rupees. Ask someone what the cost should be before you go out and then stick to that as your guide. Sometimes the drivers refuse and other times they agree after some debate. You can ask for metered fares but you have to be careful they don’t take you the long way. If you have any trouble get out and ring the police. Knowing a bit of the local language always helps here! Markets are amazing places, full of clothing (beware, the colour runs like crazy when washing some of these from Indian clothes). There is no fixed prices in markets so be ready to haggle the price. Something that a vendor asked 400 rupees for suddenly drops to 350 then to 300. Have an idea of what you are prepared to pay and only get into debate if you actually want something. Just going to walk away also helps in the frantic price reduction. Always think about how much that item would cost you at home and never beat someone down to less than a fair price, this is their livelihood after all. If you want high end products then there are shopping malls that have all the high street brands. A lot of people don’t like to give you change, even if they have the ability to do so. Twice I didn’t get any change and once I didn’t get all my change. Learn from this – make sure you know how much change you should get and make sure you get it all. Trains are a pretty cheap way to travel huge distances across the country. Buying tickets in India was certainly a new experience for me. To get a good quality seat, tickets either need to be purchased well in advance, online or from the foreign ticket office at New Delhi railway station. I bought tickets for the ‘air conditioned chair class’ where I also got food provided. Think of this food as lower quality plane food and take snacks in case you don’t want to eat it. I did get a free 1L water bottle each way though which was brilliant. Be prepared to arrive later than expected, sometimes the trains stop randomly and whereas you started out on time, you may still arrive rather late to your destination! To read more about Sarah’s adventures, check out her blog – The Travelling Bell – and to experience India for yourself, join one of our medical programmes in Delhi or Palampur.